Breastfeeding is both beneficial and rewarding for mother and baby. It is recommended by the American Academy of Pediatrics (AAP) that mothers breastfeed their babies for at least 12 months. The World Health Organization recommends up to 2 years for breastfeeding. As mothers work to create a breastfeeding routine that works best for them and their babies, there are a myriad of resources that aid in making the process easier. 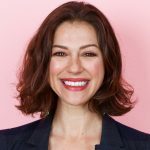 Kim Walls, founder of Best Ever Baby (BEB), recently launched BEB Baby Journal, a new app that allows new moms to track and log milk production and easily share the data with their healthcare providers and lactation consultants. CEOMOM Magazine had the opportunity to speak with Kim about how the app will change how women monitor and record their milk production. Walk us through the functionality of the BEB Baby Journal. What are the main components of the app and how does it work? It’s designed to be interchangeable for working moms who are nursing and pumping. When you set it up you decide if you want ounces or milliliters and track them together or separately. There’s also a timer or if you are not timing you can just log the quantity. The data will automatically be recorded to create a history. You can email it to yourself or a lactation consultant or even a babysitter or partner. Part of why I really wanted to create this app was because we are constantly bombarded with advertising from other apps. There wasn’t anything out there that wasn’t ad free. I think that tracking milk production should be easy and my hope is that more people will do it. What was the inspiration behind developing the BEB Baby Journal? We do a lot of work where we give out about 100,000 newborn kits a year in the hospitals. Because we are working day in and day out with specialists in the health field, we were able to identify a need. The healthcare professionals were using pens and pencils to record milk production. We noticed that most companies that are producing apps are selling something. We saw the need for an ad free app. We were able to provide a tool that people really want and need. The healthcare professionals don’t have to recommend pen and paper anymore which is outdated. We have been working with healthcare professionals for over 15 years. The BEB Baby Journal allows them to encourage new moms more. Many hospitals are putting strong initiatives behind supporting the breastfeeding efforts. With our app and robust articles on the Best Ever Baby website, we are working to support healthcare professionals on how to tips for breastfeeding. One of the barriers to recommending breastfeeding is doctors don’t have the time to teach mothers how to breastfeed. Doctors need ongoing support and tools to make it easier. Why is it important for breastfeeding moms to keep a breastfeeding journal? The American Academy of Pediatrics wants moms to breastfeed for at least 6 months. Moms are often trying to accumulate a stash due to work schedules or times they can’t nurse. There is a certain quantity of breast milk that will get them through 6 months. They will increase their milk supply by pumping in addition to feeding. Journaling is more frequency related. Data storage tells you frequency to help you increase or even decrease milk production. Can the BEB Baby Journal be useful to moms who aren’t breastfeeding? If so, in what ways? No, the app is very specific to be a tool for breastfeeding and pumping. However, the content on the Best Ever Baby website is helpful to all new moms. What advice would you give to a mom who wants to develop her own app? The best advice would be to plan very carefully everything you want that app to do. Determine all of the scenarios you could possibly think of and organize to the umpth degree so that when you hand it over to the developer there is less back and forth. Be very clear on what needs you want the app to solve. Be really well organized before trying to build. You are the General Manager at Lime Crime, founder of Best Ever Baby and creator of the BEB Baby Journal. How do you manage so many brands plus a family? It’s organization. I compartmentalize and make lists. I don’t allow myself to think about things that I am not intending to think about at any given time. I give myself down time. I use technology tools like Slack, Excel and Google Docs. It’s technology that allows me to do what I do. I don’t believe in multitasking. When I do something I do it fully. We control technology to streamline our lives. I want to make sure when my kids call I answer the phone even if I have to walk out of a meeting. 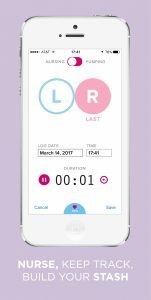 Download the BEB Baby Journal app on your iOS device. To learn more about Best Ever Baby, visit http://www.besteverbaby.com. Named one of the “9 Wonder Women of the Natural Industry” by New Hope Media, Kim Walls is an activist for both moms’ and babies’ health. She is well respected in the medical community as a natural products expert.